This term, we have one Australian boy in our school. He takes some subjects in Secondary 3, included Art & Culture. One of the projects we are doing in the classroom is simple sculpturing. Students are encouraged to carve a bar of soap to become 3D object. I want them to calculate the shape, imagine it in their minds and carve it to create one piece of artwork. They surely thinking of different kind, but none of them think of make something connected to traditional culture –as I have always encouraged them to- :(. Not even Patrick, the Australian boy. 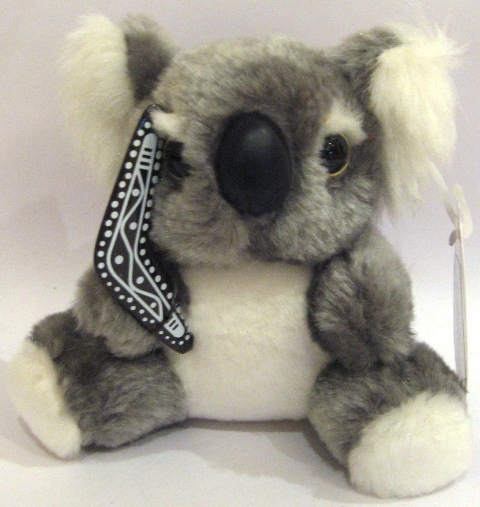 Instead of making a shape of koala bear (ooh… I know it’s a difficult thing) as an Australian icon, he doesn’t make any handmade souvenirs from Australia either. Not even boomerang, as one of aboriginal art and aboriginal symbols (I know that will be too easy ;)). Then I just leave them make whatever they can. This entry was posted in Review, School Event and tagged 3D Artwork, art, artwork, my students, sculpture, Secondary. Bookmark the permalink. the thing is, i cant accually make anything traditional from native australians (aborigionals) because i’m not aborigional. my family connections are from ireland and england not any local places, ive never even seen much to do with them. also native australian animals are wierd and are hard to make (i’m really pleased with what i made anyway). and by the way koalas arn’t as cute as everyone thinks, they make a sound like dead people and are verry agressive with their long shapr claws and don’t like being disturbed. Thanks for have a look at this blog and write a comment, Patrick. I’m happy with your work, compare it with your peers ;). Nice to have you in my class.